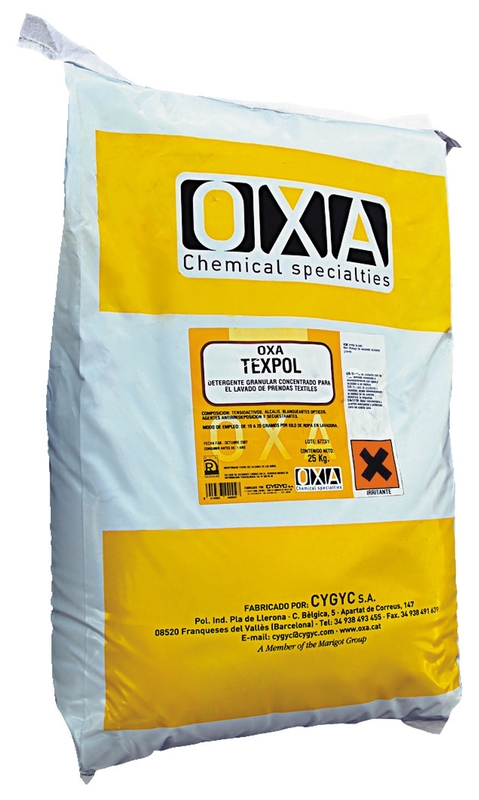 OXA-TEXPOL is a medium density granular detergent which is perfectly suited to the requirements of washing performance and cost savings that are needed in the industrial washing of textiles. It has been designed for washing linen tablecloths and industrial laundries in hotels, so it has been equipped with a high power detergent and long term maintenance characteristics of cotton clothing. Concentrated enzymatic detergent for textiles. Industrial detergent for cloth cleaning.